Online shop selling Richard Burbidge Stairparts and Standard Stairplan Staircases. 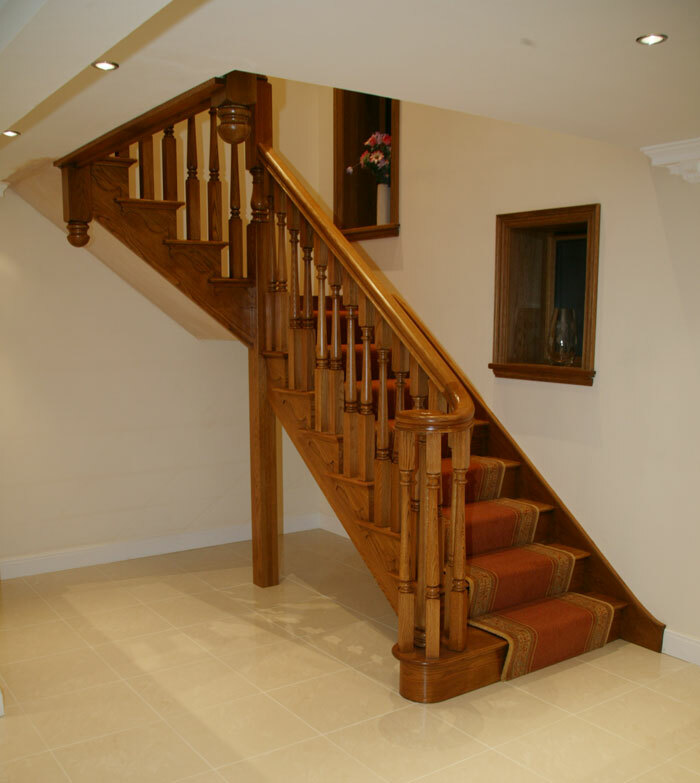 Stairplan are one of the UK's leading Staircase Manufacturers. Stairplan staircases are made tothe highest standards in the UK staircase market and offer exeptional value as an overall package. 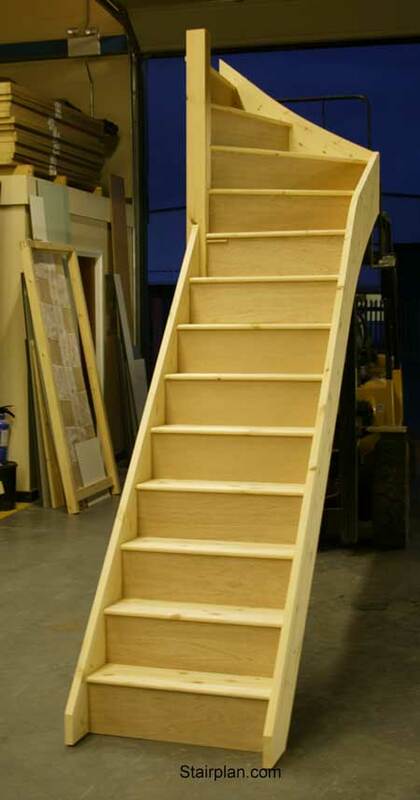 All stairplan staircases get Pre-Assembled in our assembly workshop, this is claimed by many but carried out by few. 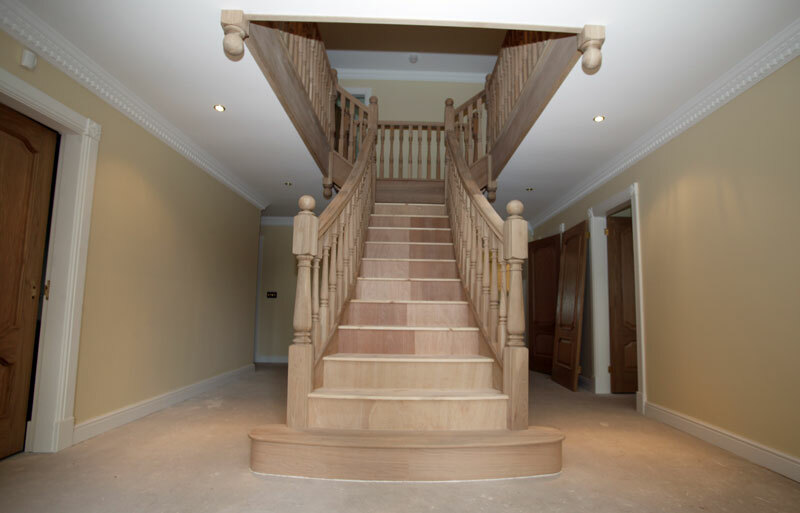 You will see from the Photo's Across our websites many staircases assembled in our workshop and you are welcome to visit us here at Stairplan to discuss your staircase requirments. 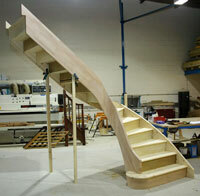 The Benefits of having a staircase Pre-assembled in the workshop before dispatch is a quick and painless installation. 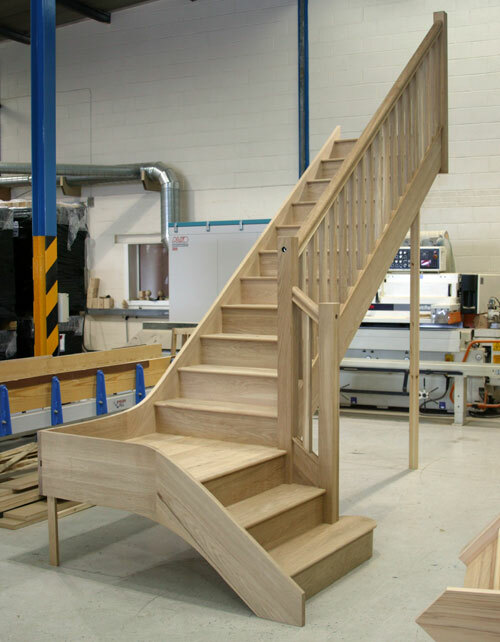 Stairplan Use the Latest in CNC Technology and staircase software to help in the production of our Staircases our current production is around 80 staircases per week. This Oak Cut string staircase has Bespoke 56mm spindles, Bespoke 140mm Newels and a Bespoke section handrail. Cut String Detail on Staircases ? 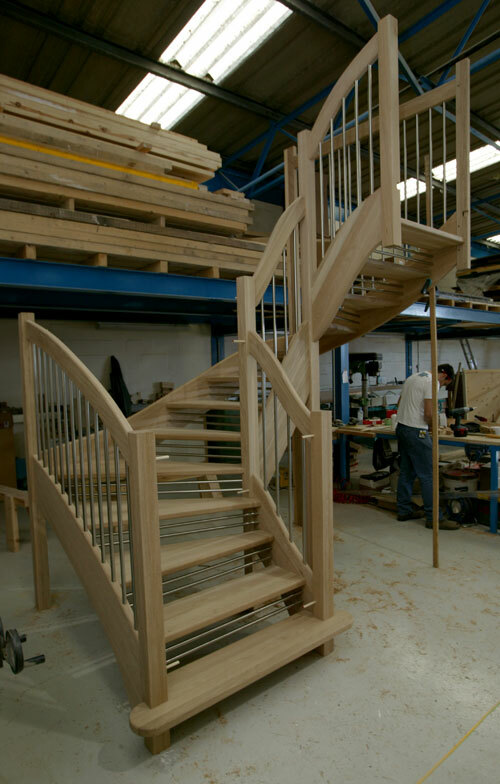 The Brooklyn staricase is another Bespoke staircase in Oak from stairplan one of the special features on this staircase is the Ascending Volute detail. This Quarter landing staircase in Oak has a Closed String Detail the staircase has 41mm stop chamfered oak balusters 90mm square oak newel posts and Stairplans Oak SHR handrail. The bottom step is a Curtail entry step. The Prscott Flared staircase above - This staircase with its flared entry makes for an impressive staircase if you have the hallway for it. 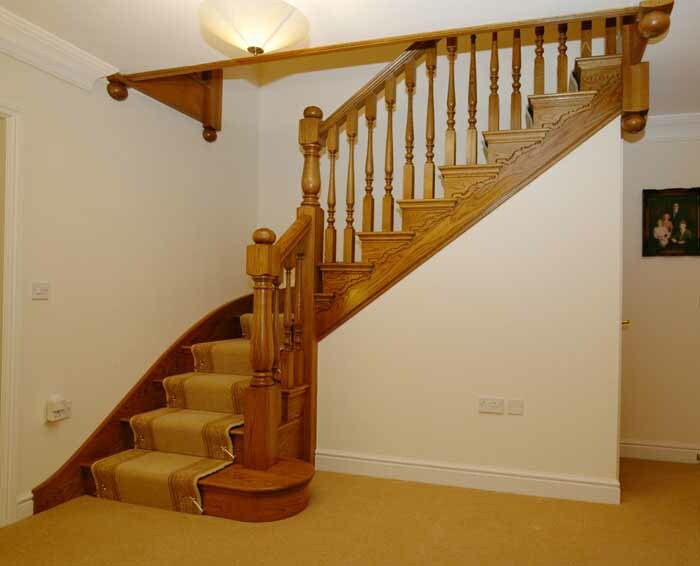 Openplan Staircases - This Oak openplan staircase has stairplans new European style handrail. Stairplan also manufacture a complete range of Spacesaver staircases - Above a Beech 40 Spacesaver with the European style handrail and optional carpet inserts. This staircase has a curved string - Known as a Wreathed String. 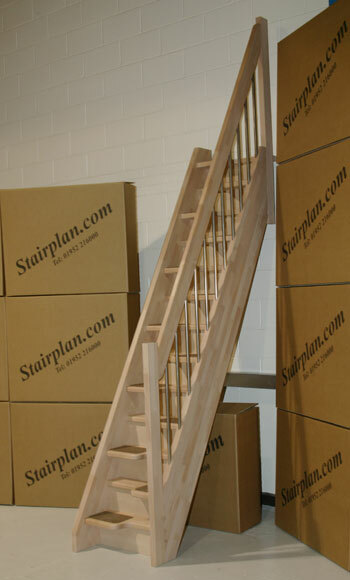 We offer Winder staircases from £399.00 + vat plus delivery - The winder staircase above is manufactured with Engineered Pine Strings , Engineered Pine Treads and Plywood Risers. How to get a Quick Quote ? 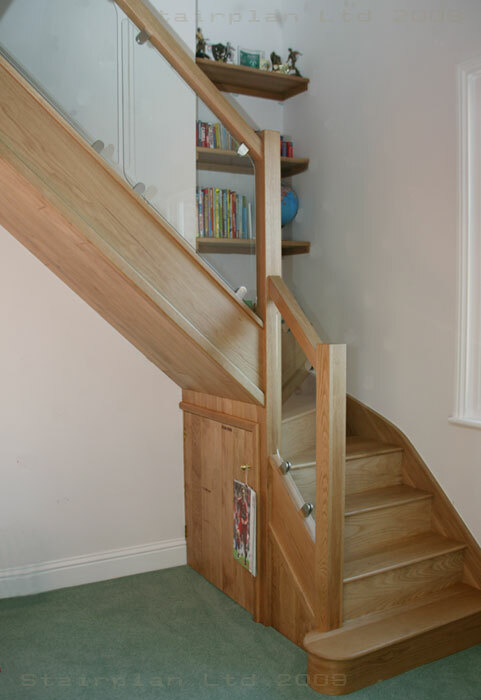 Look through our online library of staircase plans, find the one closest to your requirments and phone us with the reference.